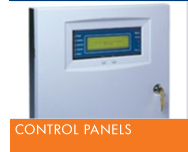 Fire Detection Control Panels generally fall into 2 different categories, Analogue Addressable and Conventional. These two panels operate in totally different ways with the Analogue Addressable Panel being far more programmable, functional and informative, giving precise details at the panel of where a device has activated. However, a Conventional Panel gives limited programming ability and will only indicate a zone where a device has activated meaning the precise area of the activation is not known at the panel itself and requires someone to go into the area to identify the actual location of the device which has activated. As one of the first Gent 24 System Integrators we are highly experienced in their whole range of Analogue Addressable and Conventional panels such as the Vigilon, Vigilon Compact and the Nano, as well as the 3400 & 32000 (both now obsolete) in the addressable range. In the Conventional there is the Zenex and the now obsolete 3260. 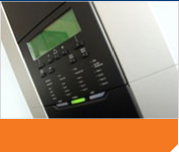 However, as an independent company we are free to supply and install whatever we think is the best solution to meet our clients needs requirements and as such have vast experience in panels from many other reputable manufacturers such as Advance – MX 5000, MX 4000, Morley - Horizon, DX & ZX series, Kentec - Syncro, Sigma, K3000, K3200 & SOLO. Kidde - Autronica, Vega & Sirius and Notifier – ID3000. 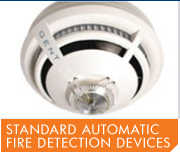 Gent Fire Alarm installations across Surrey, Hampshire, Berkshire and London. 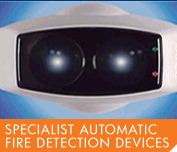 See some of our customers who have benefitted from a Gent Fire Alarm Integration solution. Some areas are not suitable for standard fire detection devices such as in large open areas, atriums and roof apex’s and for this we use Smoke beams which can detect smoke in its line of sight up to 100Mtrs using beam sets such as the Gent S-Quad Beam, Fire Ray and System Sensor. Another area requiring specialist detection is building ducting and we have a specialist range of duct sensors to meet this requirement. 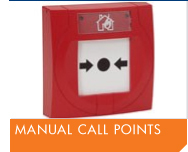 Manual call points (Breakglass) not only compliment automatic fire detection devices but also serve a purpose in their own right for areas where automatic fire detection is unsuitable such as open environments, commercial fridges & freezers, areas with harsh environments such as furnaces and areas of high humidity. 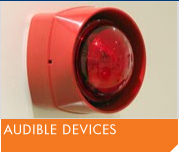 These devices allow anyone spotting a fire to activate the fire alarm by simply pushing the glass on the front of the unit. Manual call points usually come with a glass front (the glass will require replacing after being activated) or by a resettable unit which is simply reset with a key. In years gone by the only electrically operated device available was the solenoid bell, nowadays fully programmable high output stand alone and loop powered electronic sounders dominate the market and include many features such as Voice, selectable tones, volume control and Coloured strobes and for this we mainly use the Gent - S-Cubed Voice Enhanced, the Fulleon – Flashni, Sqashni, Roshni and Symphoni, or the Vimpex – Banshee, Wafer, Fire-Cryer & TriTone. 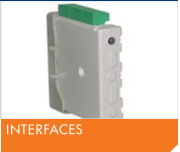 Interfaces are nowadays common in many Fire Detection Systems and are used to link to many types of plant and building management systems as well as Dampers, Smoke Extractor vents, security systems and remote signalling devices. They can also be used to link a zone of conventional detection devices into an Analogue Addressable Fire Detection Control Panel. They can be mains powered or powered via the alarm loop and be single or multi channel and programmed for use as an input or output (I/O) device.